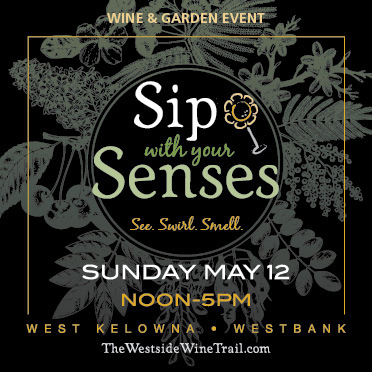 Discover the Westside Wine Trail during one of our signature events, where we invite you to get to know us one sip at a time. 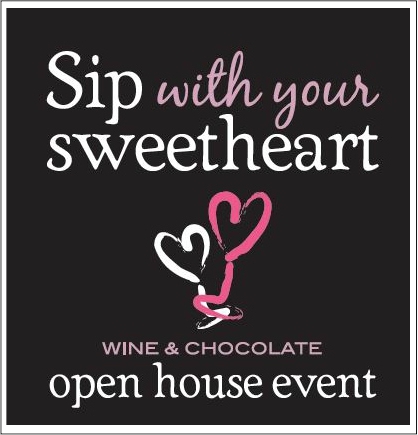 Smiling sweethearts and happy wine sippers love this popular event which is held the second weekend in February. The wineries of the Westside Wine Trail have expanded the event to two days and will be treating everyone to an afternoon of chocolate indulgence where their taste buds can savour decadent wine and chocolate pairings that have been carefully crafted and matched by local chefs, bakers and sommeliers. Open House Format. Sip some wine. See some crafts. 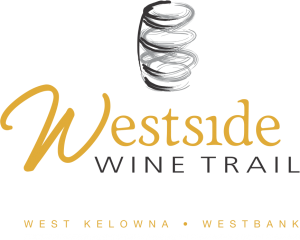 Cross some holiday shopping off your list while enjoying an easy afternoon touring the wineries of the Westside Wine Trail. 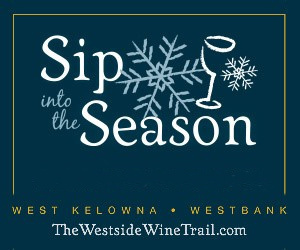 During our Sip into the Season event, which takes place the first Sunday in December, visitors travel from winery to winery as they enjoy the works of the artisans and crafters at each locations as well as tasty bites and sips.